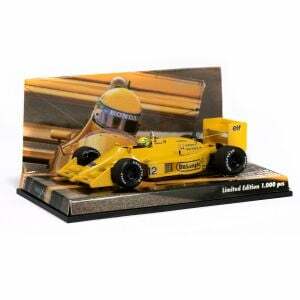 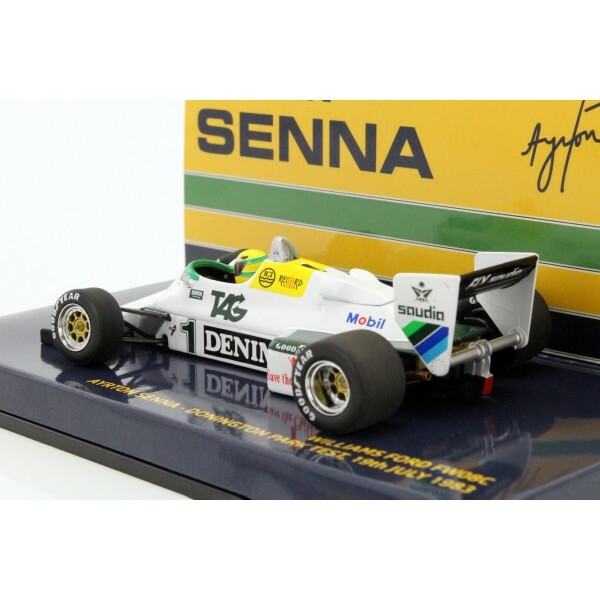 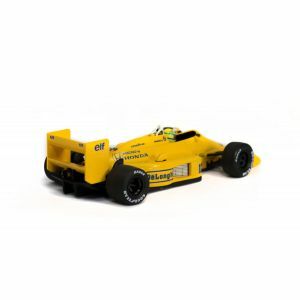 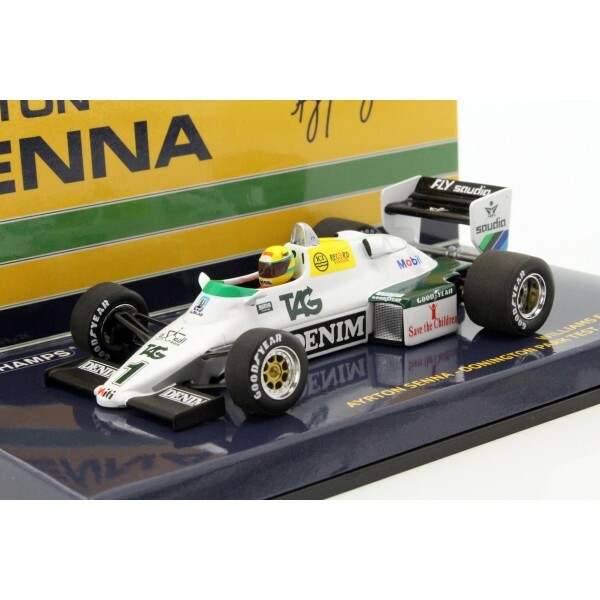 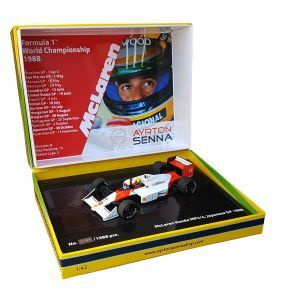 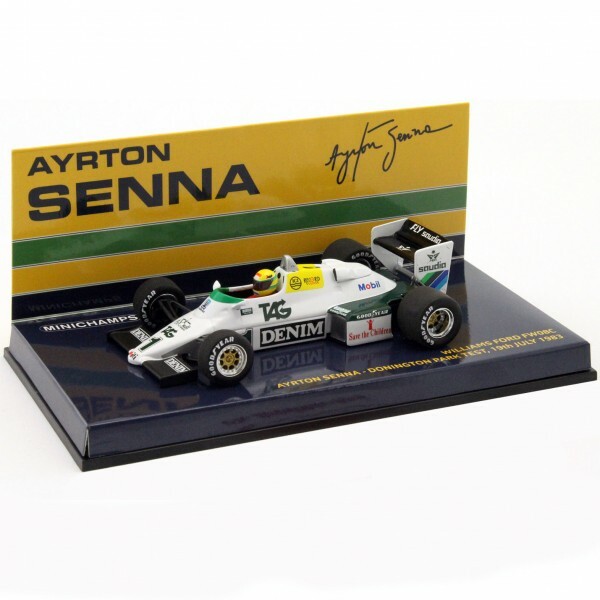 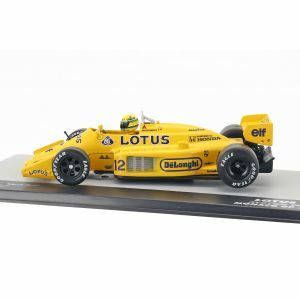 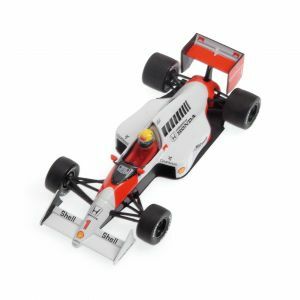 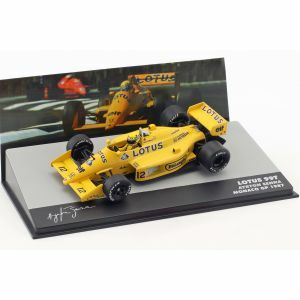 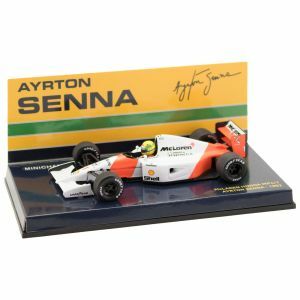 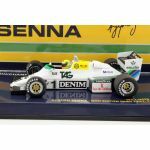 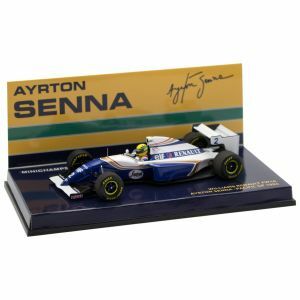 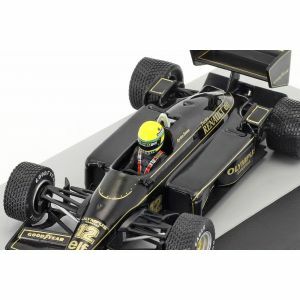 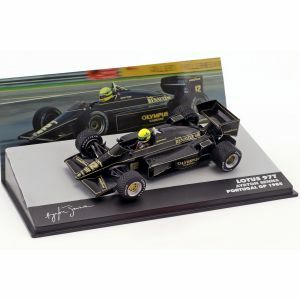 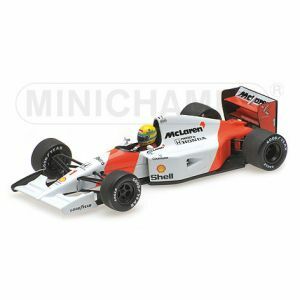 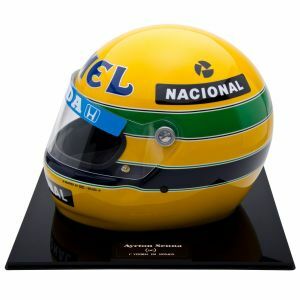 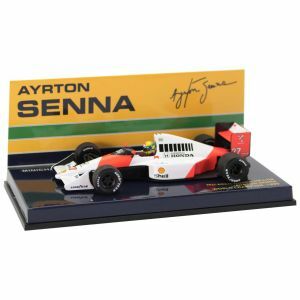 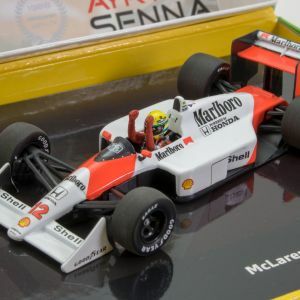 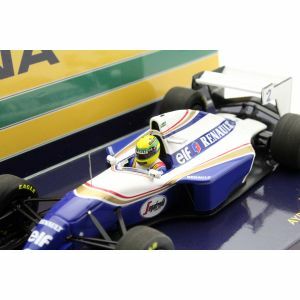 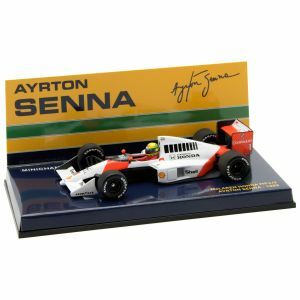 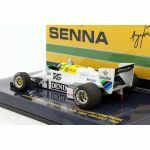 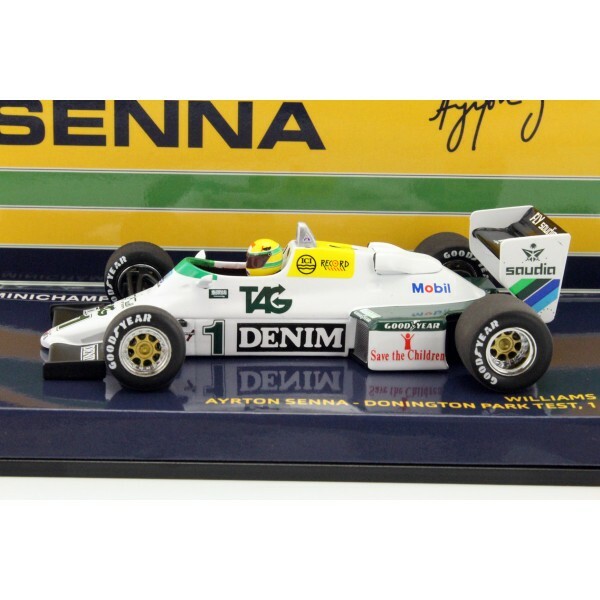 Miniature model in scale 1/43 by Ayrton Senna´s Test vehicle Williams Ford FW08C. 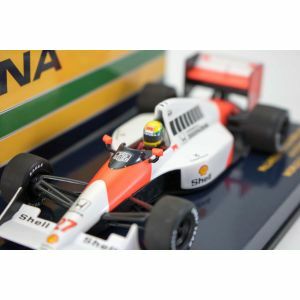 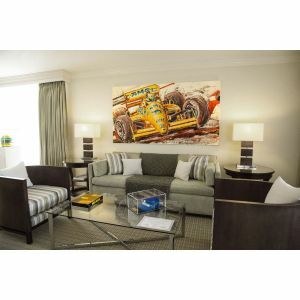 This car was the first Formula 1 car that Ayrton Senna drove. 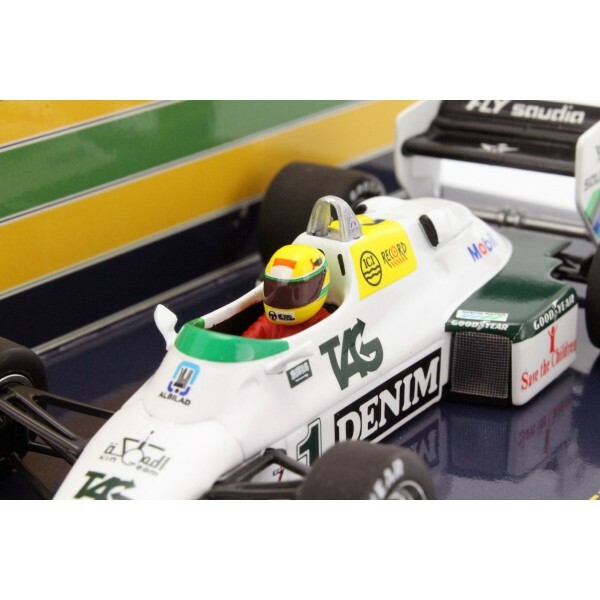 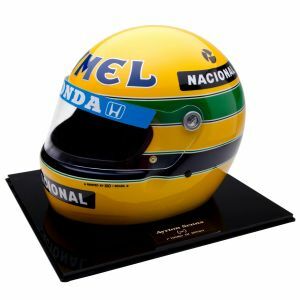 Senna tested the car in July 1983 in Donington Park. 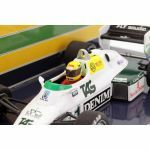 Due to existing contracts Ayrton Senna could not start for Williams and instead drove for Toleman.